BUDAPEST, August 6th 2018 – Simulation, the artificial representation of real-world processes, is arguably the most prominent form of pedagogical innovation to occur within the medical field in the last 15 years. However, its origins within medicine date back to antiquity, when human models were built using clay and stone, for instance, to demonstrate certain techniques, structures, and pathologies (Jones, Passos-Neto, and Braghiroli 2015, 57). Today, simulation continues in the mode of low-tech human body models, drawn upon to illustrate anatomical structures and practice basic manoeuvres and procedures, alongside forms of mid to high-tech simulation including, for example, actors trained to role play as patients, screen-based computer simulators used to train and assess clinical knowledge and decision making, and realistic computer-driven patient model simulators which have the ability to produce complex, high-fidelity clinical situations (Ziv et al. 2003, 784). Wax preparation from the workshop of Felice Fontana (1780-1785). Full figure demonstrating the female lymphatic system whose beauty conferred the name “Venus Anatomica”. Semmelweis Museum of Medical History. Photograph: Rachel Allison. 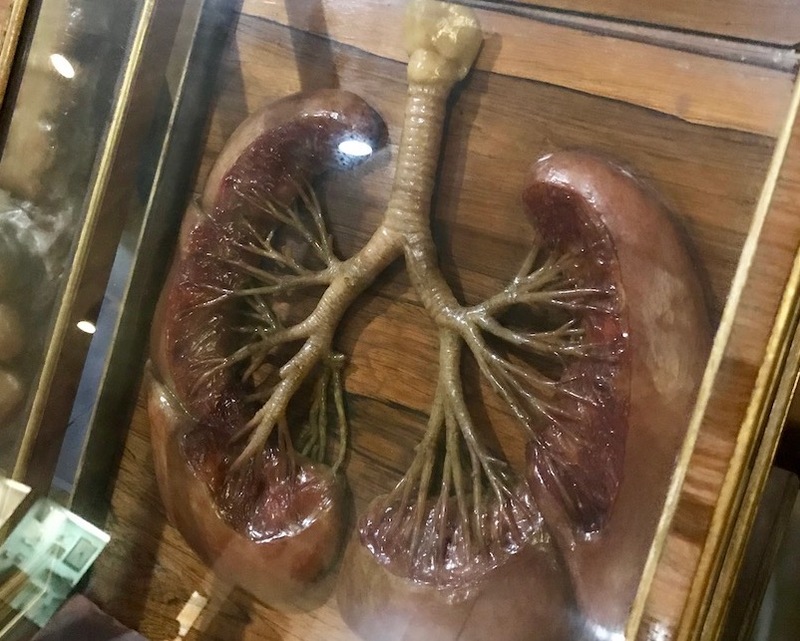 Over the weekend I took some time out of my sunny schedule to visit the Semmelweis Museum of Medical History, where I had the pleasure of discovering a collection of historical models used in the translation of previous generations of medical knowledge. 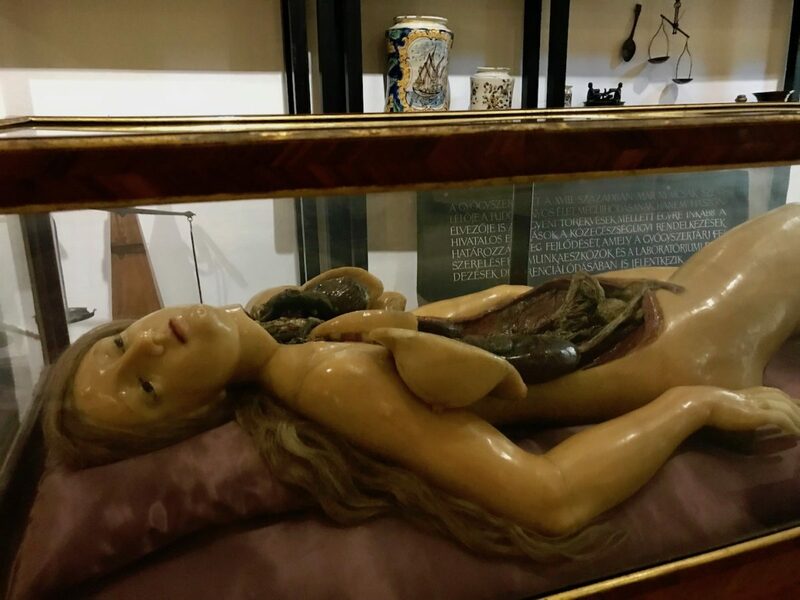 Amongst these simulations was the Venus Anatomica, an enchanting (if, eerily positioned) full-scale wax figure demonstrating the female lymphatic system. 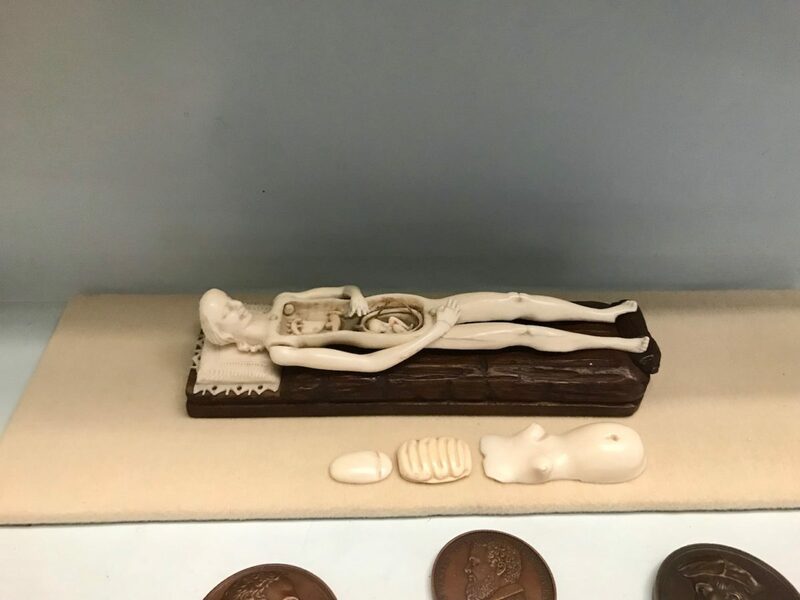 Alongside the Venus – produced circa 1780 – I learnt that wax models, crafted through the coordinated practices of anatomists and artists, were once essential technologies of anatomical education, distributed throughout the medical universities of Europe. Pieces ranged from specific organs, to full anatomical figures, which were used to depict entire bodily systems. 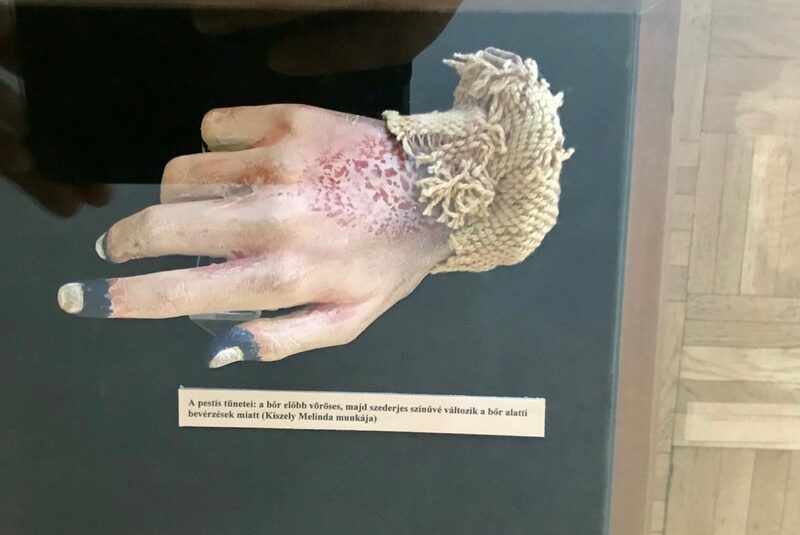 More simulations on display at the Semmelweis Museum of Medical History, including a hand-carved pregnant ivory figure and a disturbing model hand showing symptoms of the plague . Photographs: Rachel Allison. 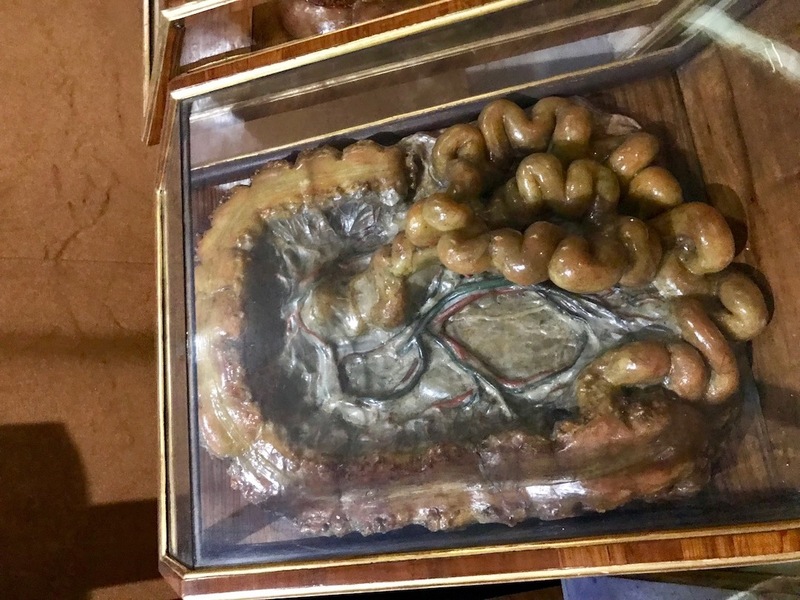 Throughout my time within the Department of Anatomy, Histology, and Embryology at Semmelweis University, I have had the opportunity to come into contact with many 21st Century anatomical simulations. 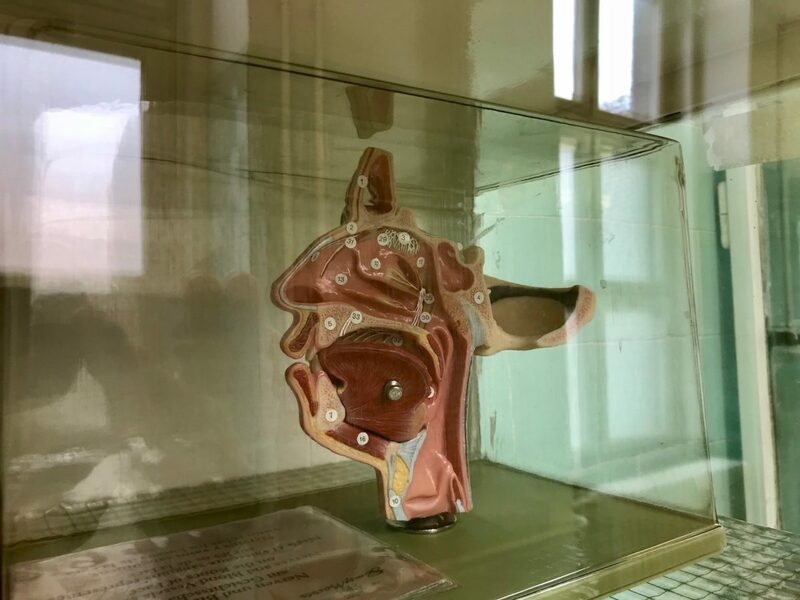 Though perhaps not as initially engaging as the Venus Anatomica, these models are exquisite in their own right, retaining the integrity of connection between art and anatomy. 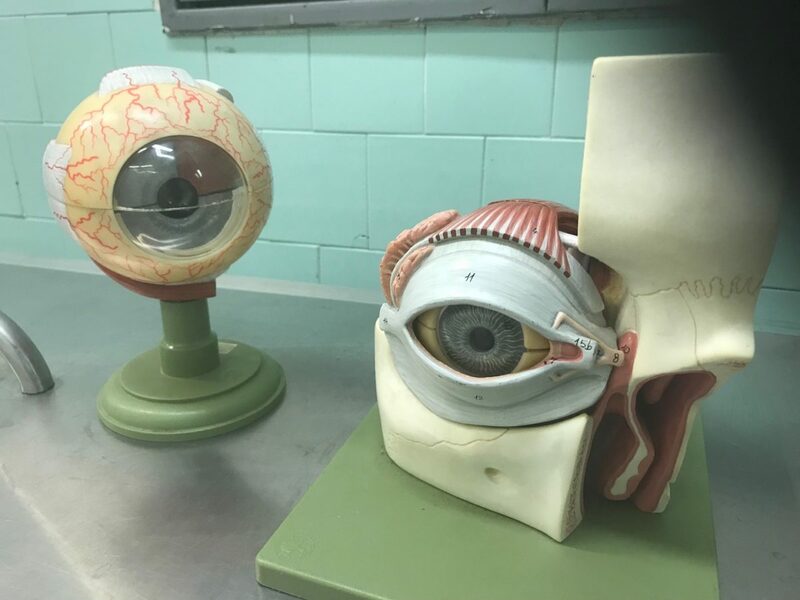 Medical students and educators turn to models (now usually made of plastic) as one of many pedagogical technologies available to confer knowledge of the human body. 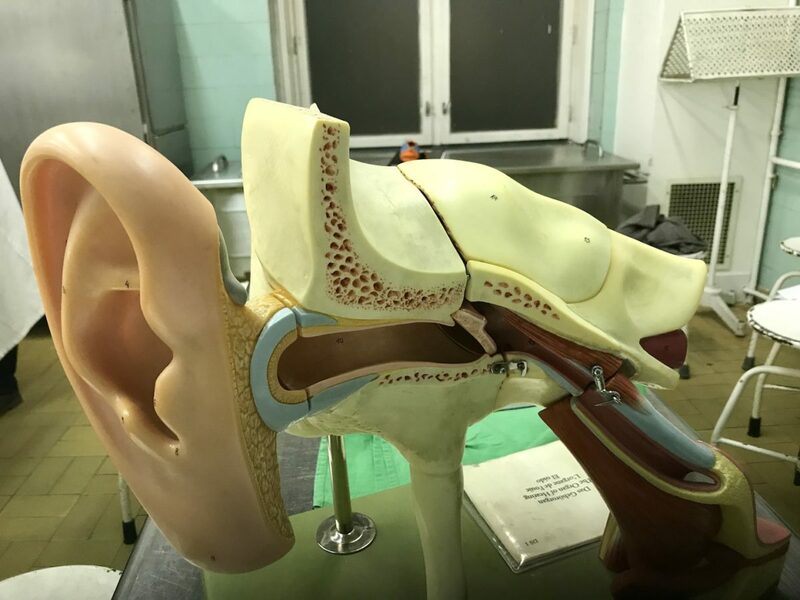 This may occur, for instance, when the makeup of a cadaver obscures, to enlarge or highlight certain structures (for instance, the ear or eye), or to help students orient within “virtual space”, as is the case with the pelvis. 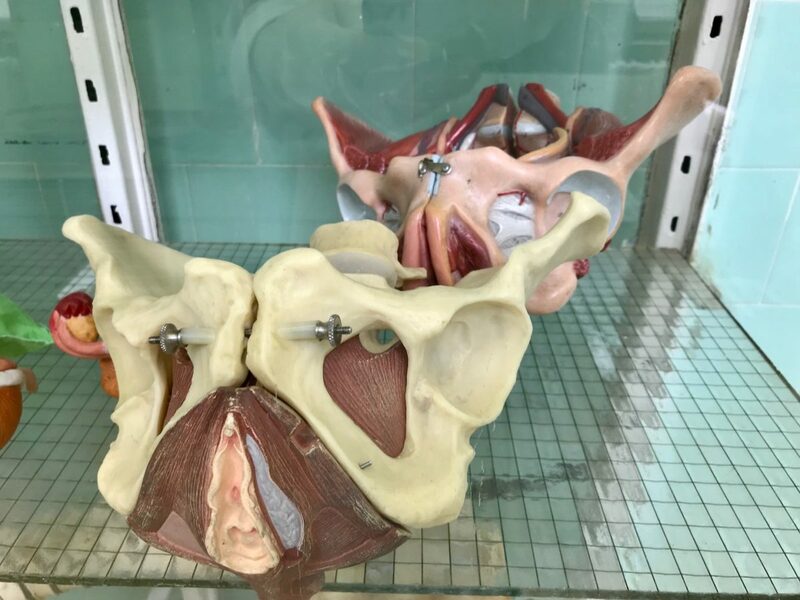 The use of these models is one illustration of the continued importance of low-tech simulation within medical education and, particularly in the case of my ethnography, the translation of embodied knowledge of human anatomy through pedagogical technologies. 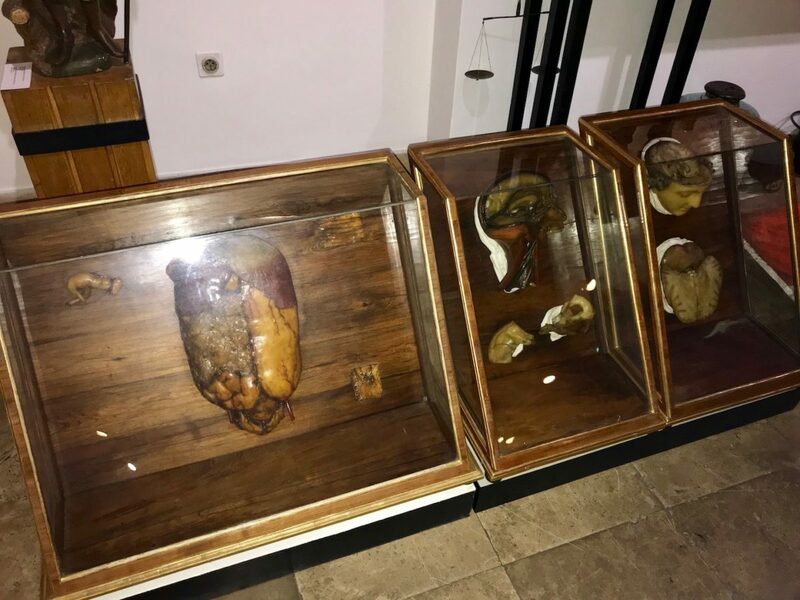 Models used in Semmelweis's Anatomy Department. Photographs: Rachel Allison. Jones, Felipe, Carlos Eduardo Passos-Neto, and Freitas Melro Braghiroli. 2015. “Simulation in Medical Education: Brief history and methodology.” Principles and Practice of Clinical Research 1 (2):56-63. Ziv, Amitai, Paul Root Wolpe, Stephen D. Small, and Shimon Glick. 2003. “Simulation-Based Medical Education: An Ethical Imperative.” Academic Medicine 78 (8):783-788.